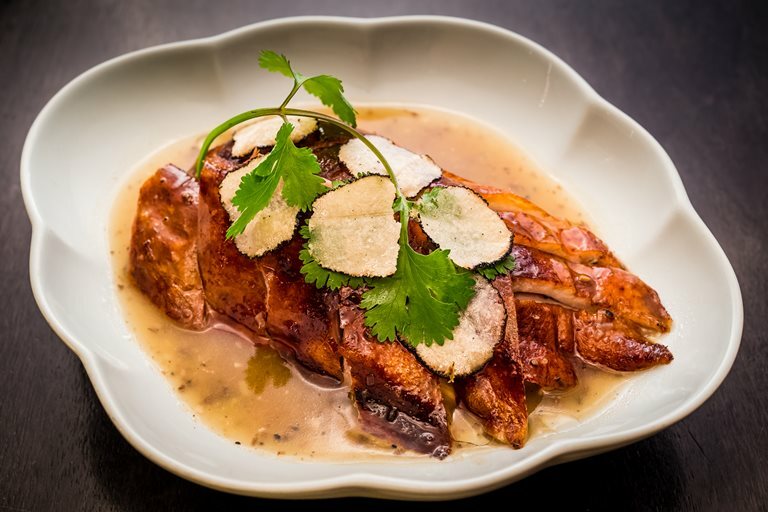 Tong Chee Hwee gives the classic Chinese roast duck recipe a glamorous update with the addition of luxurious truffle. Begin this recipe the day before you need it in order to let the duck marinate. Truffles can be found online and in specialist supermarkets.